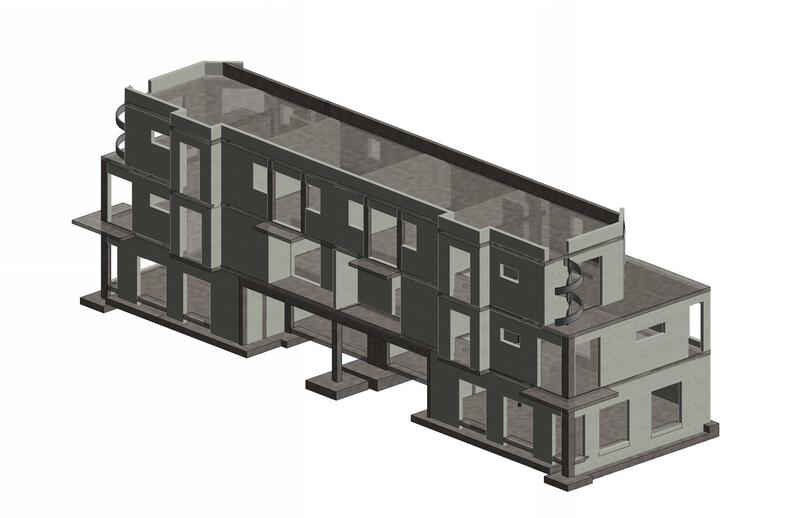 Structural design of a three-story townhouse development. 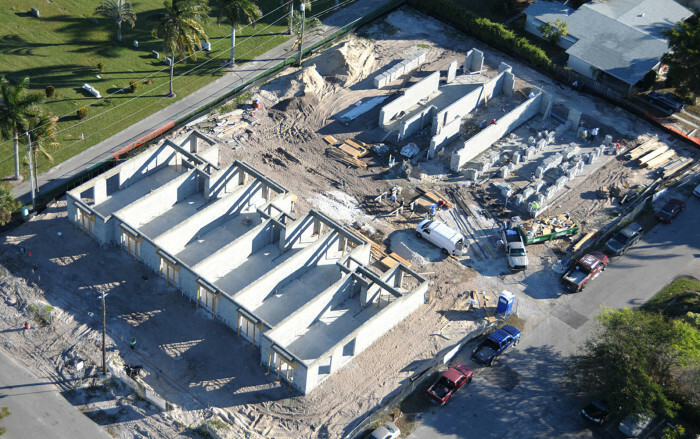 20 dwellings. 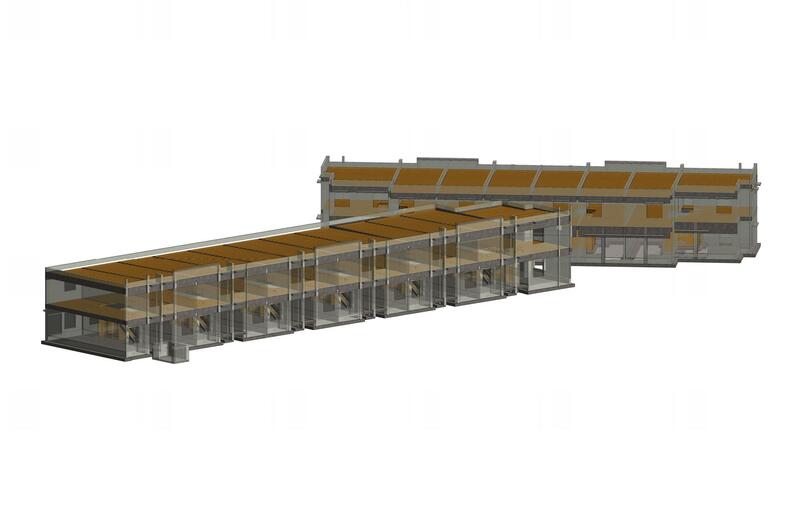 20 private parking garages. 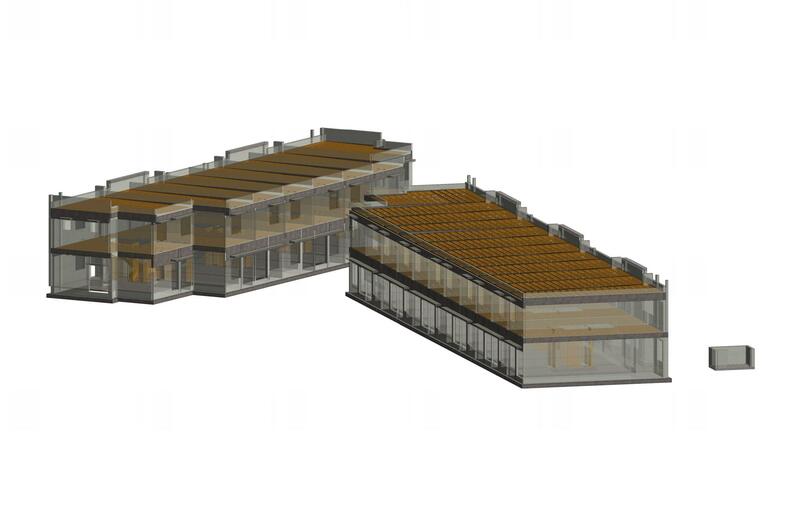 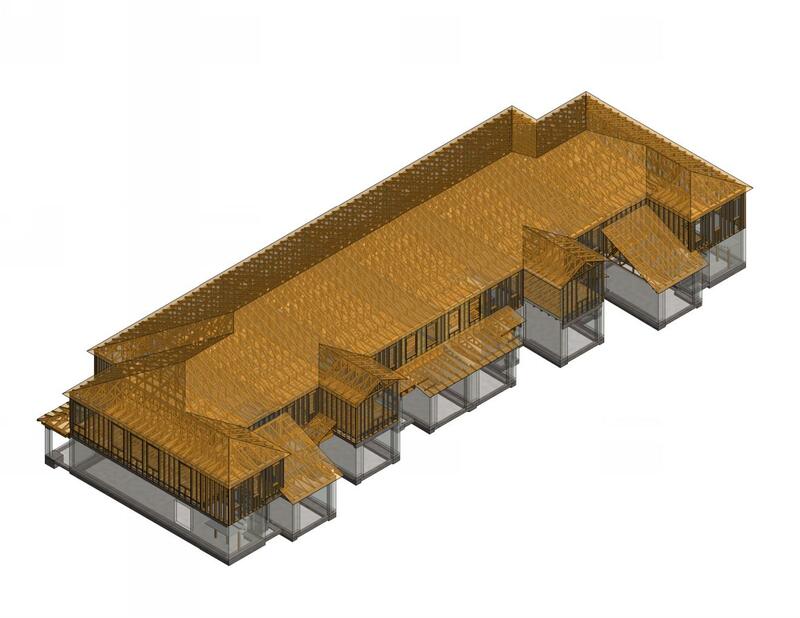 Structural design of six, two-story townhouse structures. 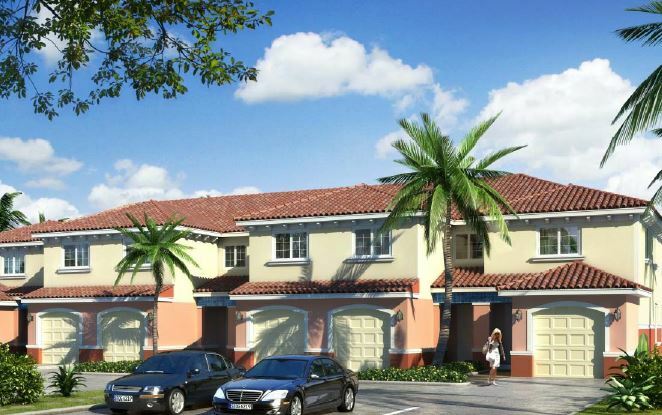 Each building will have six individual units each, private garages and three bedrooms. 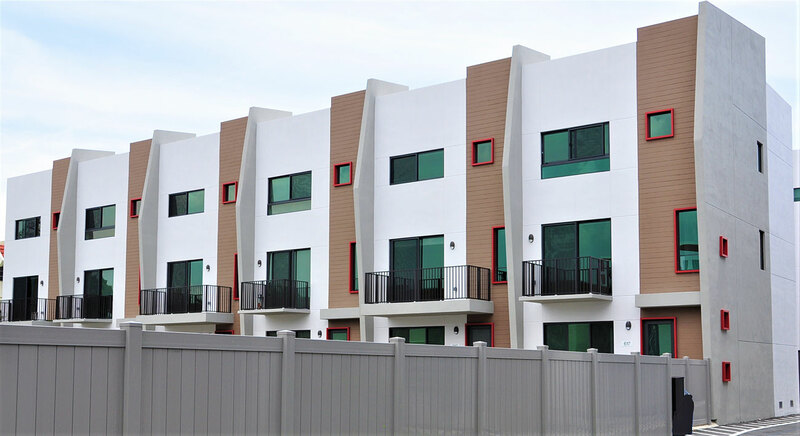 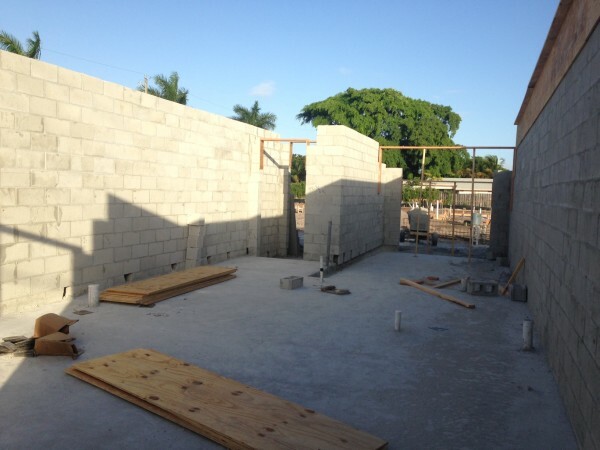 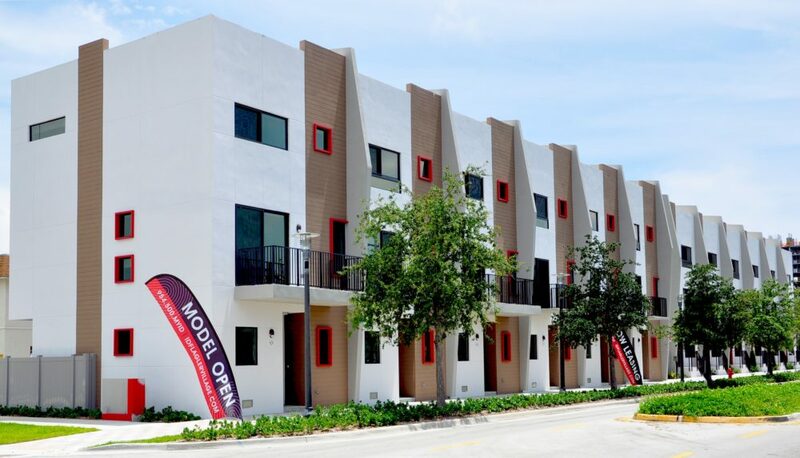 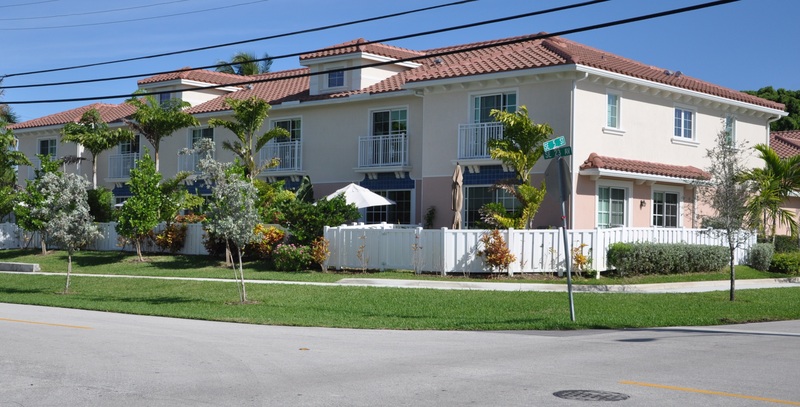 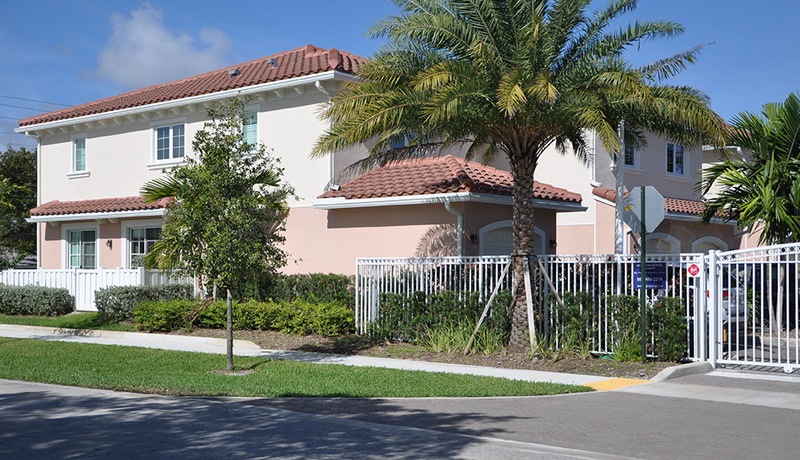 Structural design of townhomes in the City of North Miami Beach. A total of 24,000sf of living space divided among two buildings with 8 and 12 units respectively. 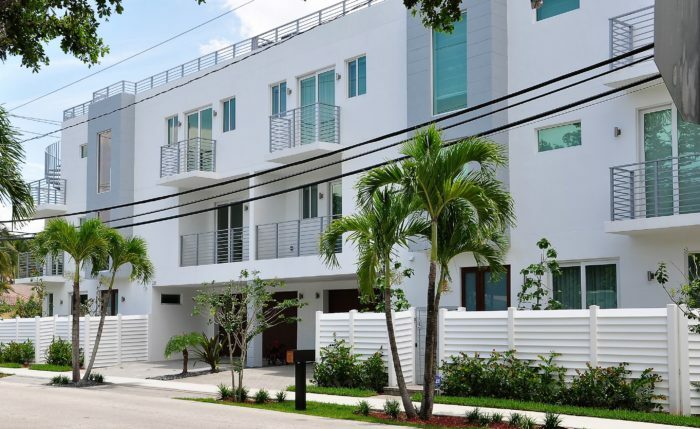 A new, two-unit townhome totaling 7,200sf. 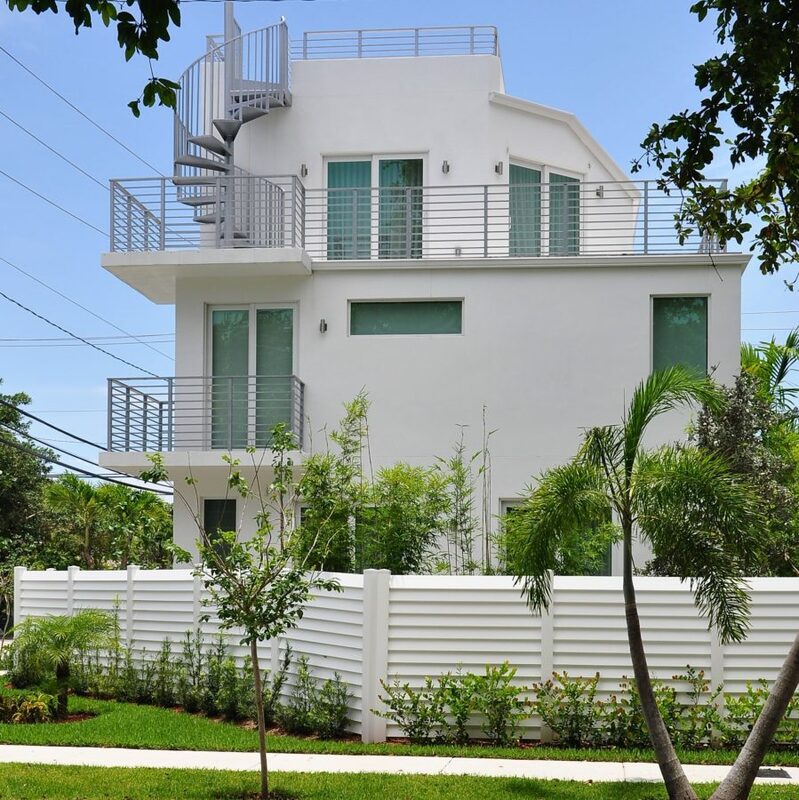 This four-story structure includes an accessible roof terrace, balconies and private garages. 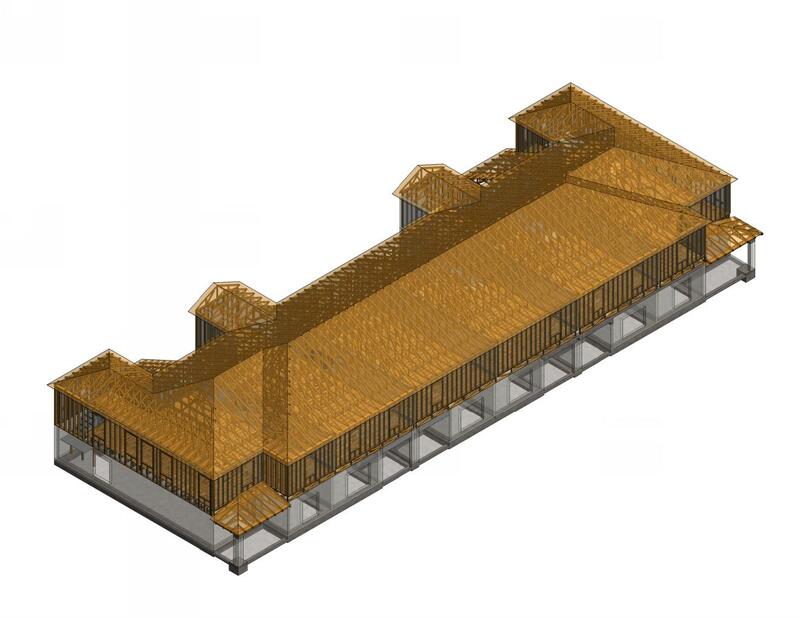 The building structure will consist of a concrete slab on grade, elevated reinforced two-way concrete slabs, a two-way concrete transfer slab at the 3rd floor and load bearing CMU walls, concrete columns and beams. 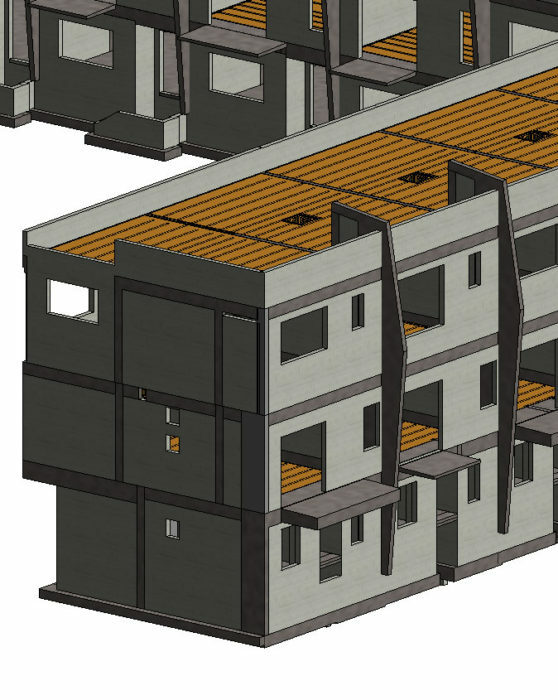 Structural design of a two-story townhouse development. 2 floors-10 units. 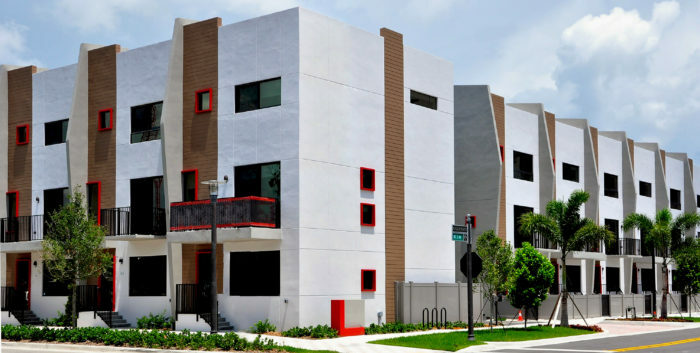 Private parking garages-23 spaces. 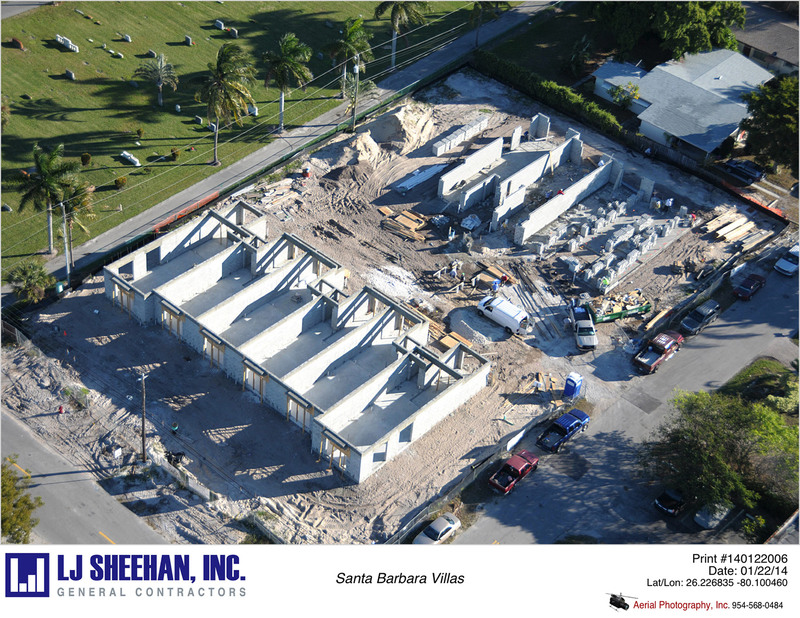 18,000 total square feet.